Run the tallest living sand dune on the Atlantic Coast! This is a unique, and challenging run in Jockey’s Ridge State Park, which is located in Nags Head. The 1.4 mile ‘Tracks in the Sand‘ Trail leads through towering dunes. Don’t be fooled by the distance — running that length in soft sand is a challenge and not for everyone! This is also an opportunity to get some hill work in! This can be combined with the 1-mile Soundside Nature Trail, which opens onto wetlands, grassy dunes and maritime thickets. It’s also sandy but a little less challenging. 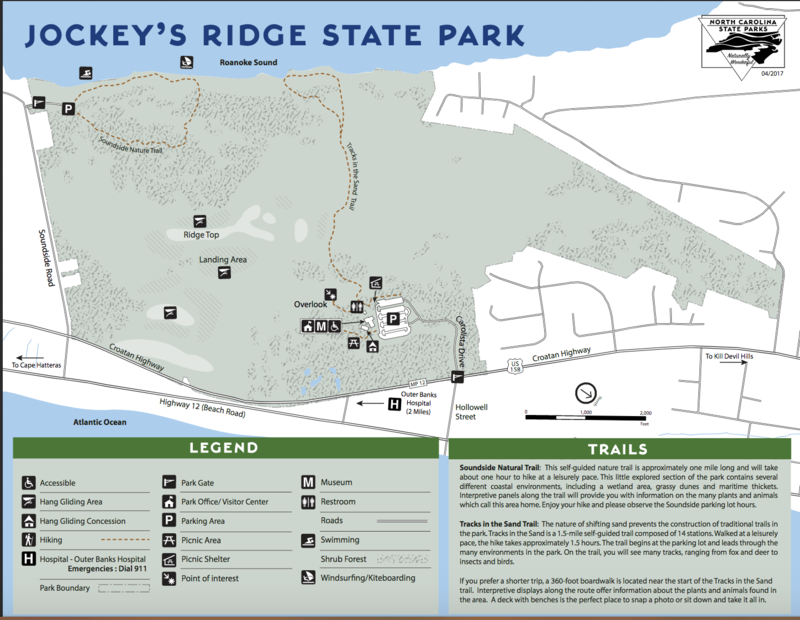 See the attached park map. Note that this park is exposed on a hot day and that the sand can be 30 degrees warmer, so use caution! 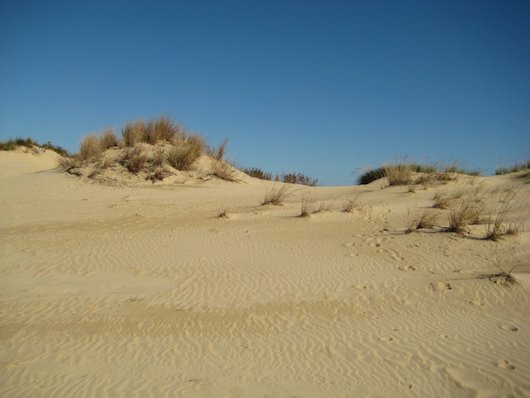 You can also create your own route among the dunes.